There's no getting cold feet now. On Friday, Microsoft's acquisition of Nokia's device business will be official, after months of delays and regulatory hurdles. The remnants of Nokia will get a whopping $7.2 billion. In return, Microsoft will get 25,000 new employees, a legion of Lumias, and oh yeah, those funky Android-based Nokia X phones. Sure, Microsoft and Nokia each stand to gain (or lose) billions from the deal. But why does that matter to you? What should you and I hope to see from the Microkia conglomerate, in terms of Windows Phones and devices that we can actually touch and hold and feel? I'm glad you asked. More, and more polished, Windows Phones? Let's get this out of the way: Windows Phone has an adoption problem. And since Nokia controls a stunning 93 percent of the Windows Phone market, that means Nokia has an adoption problem, too. The Lumia 1020, 925, and 920. And to be frank, that's not much of a surprise. While it's always been slick-looking, Windows Phone has nevertheless felt half-baked compared to Android and iOS. Users largely steered clear, which made it even easier for most manufacturers to do the same. Microsoft made the phone makers' decision all the easier because of its insistence on charging for a Windows Phone license. 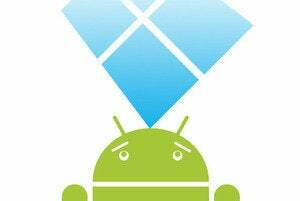 Meanwhile, Google gave away Android—an operating system that people actually wanted—for free. The acquisition changes everything, though. While Microsoft was always motivated to make Windows Phone a success from a high-level ecosystem perspective, it now has $7.2 billion reasons to make damn sure that Nokia's phones actually sell now, too. Surprise! Since the Nokia merger was announced, Microsoft's rolled out Windows Phone 8.1, a sweeping update that finally achieves feature parity with iOS and Android and finally gives Nokia's beautiful hardware a software backbone that's just as alluring. Mere moments after announcing Windows Phone 8.1, Microsoft also announced that Windows Phone licenses will be free for all handset makers, in a bid to quell Nokia's uneasy competitors. Considering that most manufacturers pay Microsoft a license fee when they sell an Android handset, rolling out a Windows Phone may be cheaper than using a supposedly "free" Android license—which would only encourage phone makers to pump out more Windows Phones, especially in developing countries where cost is a concern. More and better Windows Phone apps? Nokia's been at the forefront of pushing developers to create Windows Phone apps—perhaps with even more success than Microsoft's own efforts—and has developed several top-notch Windows Phone apps of their own, such as Nokia MixRadio, various Nokia Camera apps, the augmented reality City Lens, and more. By this point, the Windows Phone Store will likely never catch up to the sheer app numbers of the Play or App Stores, even with the new "buy once, play on any device" universal app push. But many of the biggest-name apps are already appearing on Windows Phone, thanks partly to Nokia's constant prodding. Now that Microsoft needs to sell some phones—and perhaps now that Nokia's marketing and outreach team has access to Microsoft's vast war chest—the drive to stock the app store could intensify, especially with Windows Phone starting to grow nicely in developing markets. The Lumia Icon's app-filled home screen. And if more of the slickly designed Lumia apps started meandering into the Windows Phone store after an exclusive delay of a few months, well, that'd be a fine development, too. A more integrated Windows Phone experience? By controlling the software and the hardware of the vast majority of Windows Phones, Microsoft can now create a more tailored, integrated experience for mobile users—think Google's Nexus devices or Apple's iPhone, or a smaller version of Microsoft's own Surface tablet. While Microsoft still needs to cater to the needs of other Windows Phone manufacturers, Microsoft now has a template for designing its own Windows Phones. For example, the Lumia line's excellent cameras are a key advantage over rival phones. Windows Phone could be fine-tuned to make photo editing and sharing even more seamless than it is now, to play to that strength. PureView everywhere! The Lumia phones have amazing cameras. All they need are Windows Phone photography features (and apps) to take full advantage of them. But let's get speculative. Between the widespread shift to the Metro UI and the newly introduced universal apps endeavor, Microsoft is already nearing the "Windows Everywhere" experience it so desperately wants to attain. Given that, perhaps Microsoft will start adding more photo-enhancement tools to Windows itself—or maybe even the Xbox—to play to Nokia's strengths. It would be great to snap a picture with your Lumia and, aided by OneDrive, turn that image into the background for your Xbox or Windows setup. All that app and experience talk segues nicely into the next thing we could see. Microsoft needs to work on its design. Nokia can help. 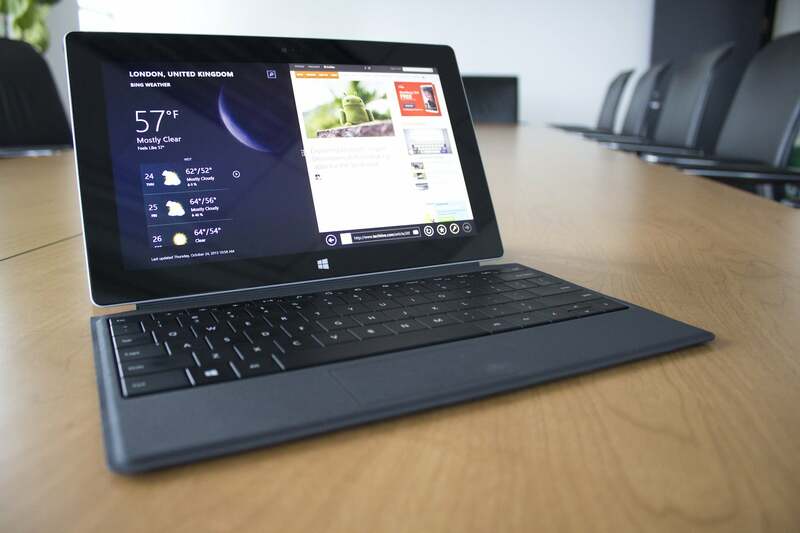 The Surface 2 looks more in place in the boardroom than the living room. Contrast that to Nokia's wares: Every Lumia phone is an aesthetic marvel, and its apps are just as thoughtful. This company just plain gets everyday users. It'd be utterly magnificent if some of Nokia's famous Finnish attention to detail seeped into the rest of Microsoft—and utterly tragic if Nokia's designers lost their flair for the fantastic after being consumed by Microsoft. If you want to hear more about the topic, be sure to check out Mark Hachman's take on How to make Microsoft great again, one Nokia phone at a time. It's righteous. Nokia's supply chain management is a force to be reckoned with, honed by decades of experience in pumping out hardware. 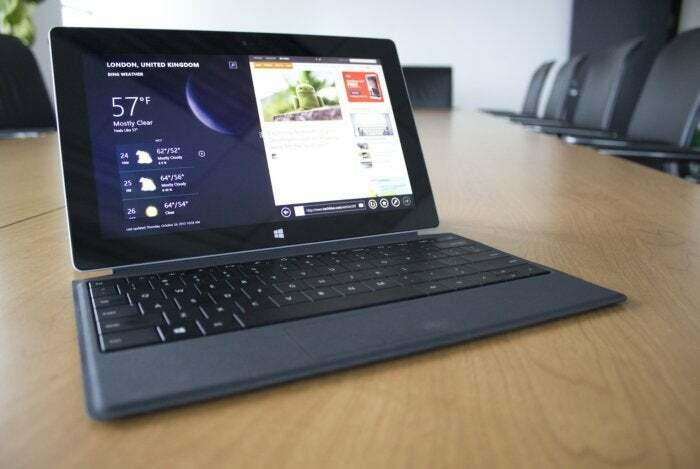 Microsoft's been hawking Surface tablets for less than two years, and often overproducing or underproducing the slates in that time frame. Nokia's vendor gurus could help even out the supply side of the Surface's supply-and-demand equation. At first blush, the Nokia X's very existence seems to scream "KILL ME, KILL ME NOW" with the company in Microsoft's hands. It is running Android, after all. Sacrilege! Microsoft services are front-and-center on the Android-powered Nokia X line. But maybe it isn't. Remember: Microsoft has reimagined itself as a device and services company now. The Nokia X is an affordable device with mass appeal, and it just so happens to be chock-full of Microsoftian services like Skype, Outlook.com, and OneDrive, rather than the usual Google apps. The low-cost line could be used to replace Nokia's aging Asha OS with something that spurs widespread Microsoft service adoption in developing countries and offers an easy migration path to full-fledged Windows Phones down the line. Yes, Nokia's fake Windows Phone could bolster the real one. While Microsoft hasn't exactly been enthusiastic about the Nokia X, it hasn't been belligerent either. Microsoft VP of corporate communications Frank Shaw went so far as to state that "this provides the opportunity to bring millions of people, particularly in growth markets, into the Microsoft family" via the bundled services. 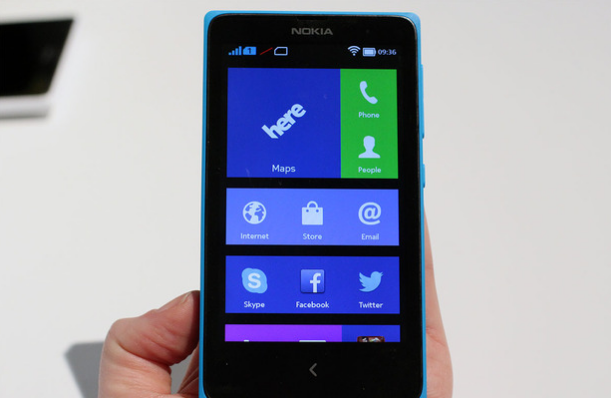 Expect Microsoft to tolerate the Nokia X's existence… for now. Yes, nothing at all. Stay the course, carry on, nothing to see here, folks. Why would Microsoft spend a ludicrous $7.2 billion on Nokia to invoke no changes at all? Because perhaps Nokia wasn't a strategic acquisition, or a necessary investment in a grand unified hardware plan.Maybe it was a desperate move. Windows Phone's new Cortana digital assistant, running on a Lumia Icon. Remember, Windows Phone has had trouble wooing new users into the fold. Just before Microsoft announced the acquisition, Nokia was hemorrhaging cash and market share despite controlling such a big slice of the Windows Phone market. Rumors of a Nokian defection to Android were swirling on a daily basis (and soon proven true with the Nokia X). With its back against the wall and its staunchest ally making eyes at the competition, Microsoft's then-CEO Steve Ballmer might have felt forced to act, lest Microsoft lose control of the Windows Phone story entirely. 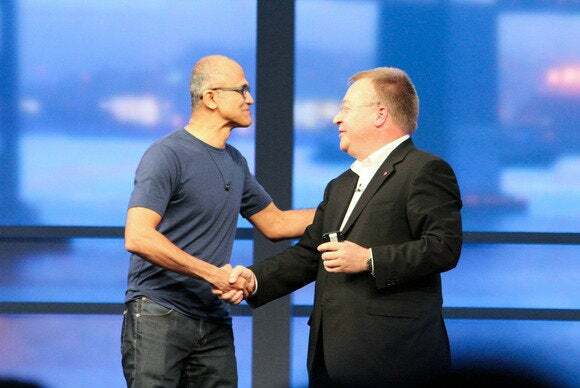 The Nokia purchase certainly seemed to have occurred out of the blue, shortly after Microsoft announced a sweeping reorganization and Ballmer himself announced his retirement. Engulfing Nokia's 32,000-strong workforce into the Microsoft ranks is a mighty big thing to dump onto the shoulders of new CEO Satya Nadella—unless it absolutely, positively had to happen. Hey, I'm not saying that's what did happen, but it's possible. In any case, here's to a long and fruitful union: The marriage of Cortana and alluring Nokia phones like the Lumia Icon could be a legendary one indeed—if Microkia plays its cards right.